Phlox Dragon Designs: Happy Birthday Nuts4Digi! The site is turning 5! How amazing! My store is 35% off all week long! Let's Party Mini Kit Challenge! 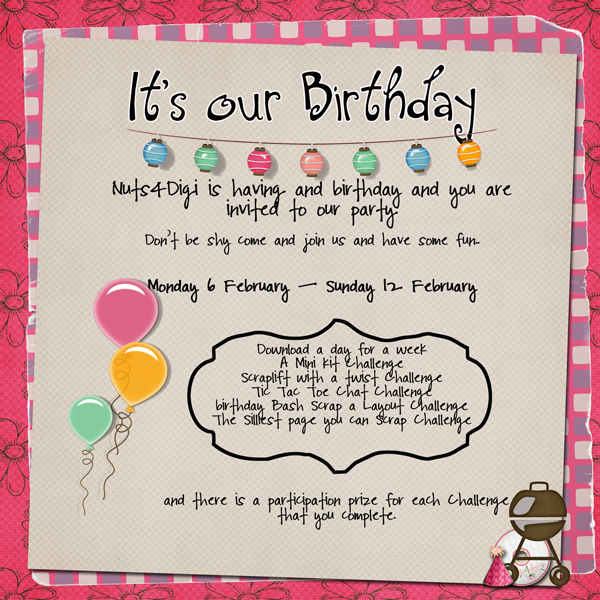 N4D Let's Party Mini Kit Challenge!